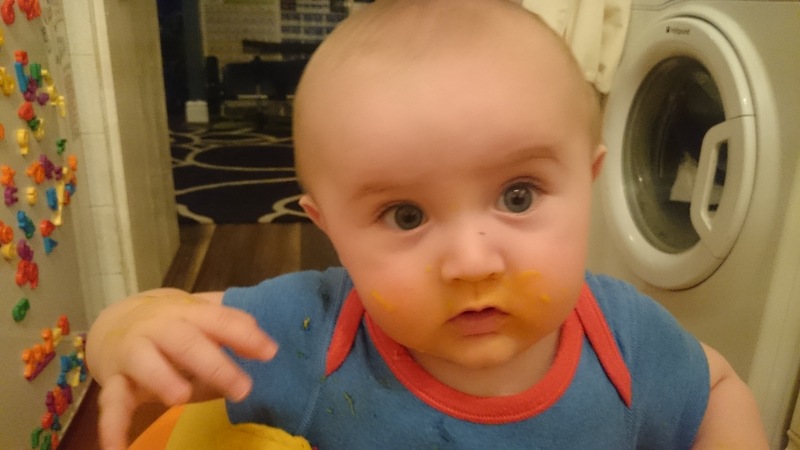 I’m pleased to report that Jake is coming on in leaps and bounds with his weaning! 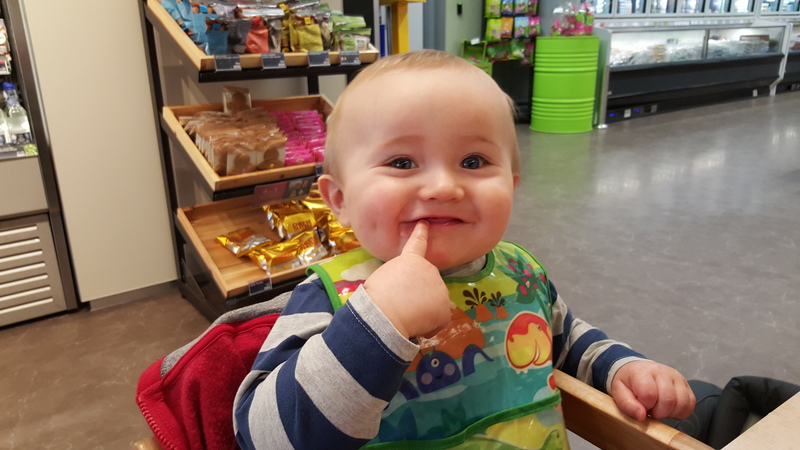 At 8 months old, he’s now enjoying a wide variety of foods and is proving to be a lot more adventurous and tolerant than his big brother was at this stage. 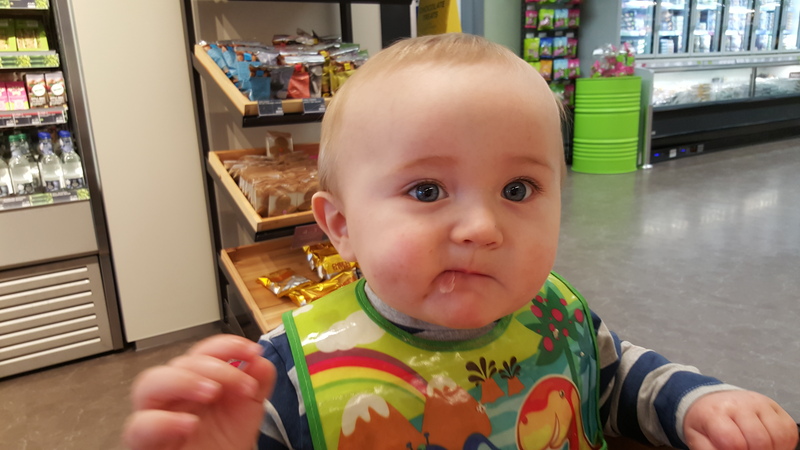 I’ve been conscious of ensuring he tries lots of different flavours, both sweet and savoury, as how babies eat at this stage can affect their diet as they grow. 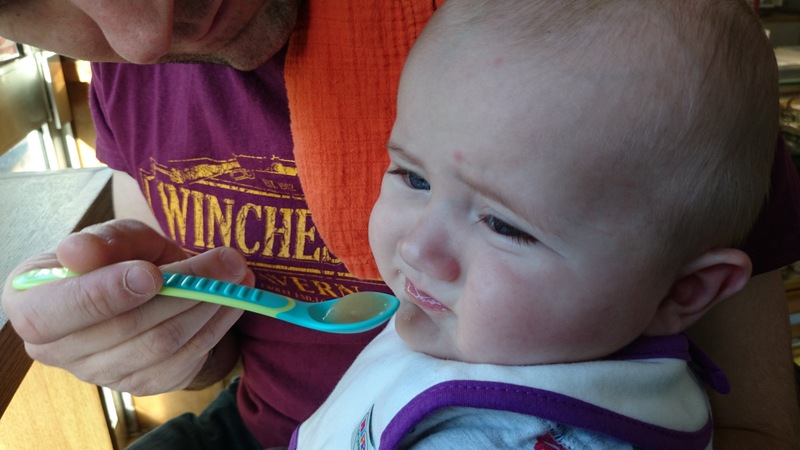 It’s important when weaning to try not to just stick to foods you know your little one likes. It’s best to keep offering a variety of foods instead. 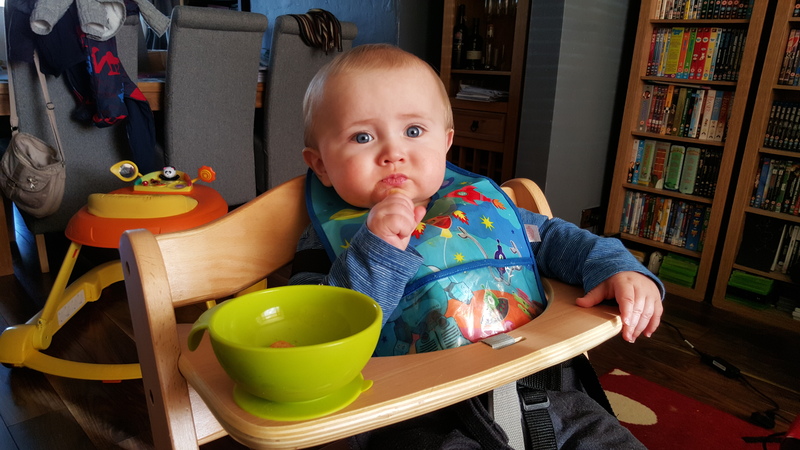 It is normal for your baby to be wary of new foods, so be ready to offer something new as many as ten times before they accept it. 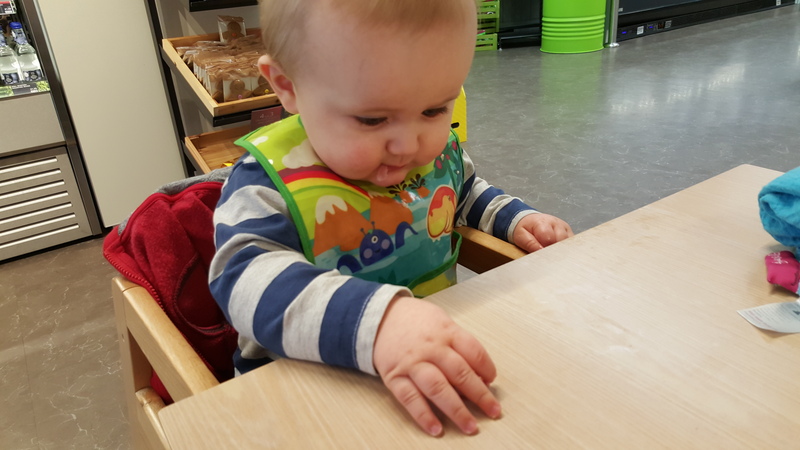 Persevering now will help them develop into more adventurous eaters as they get older. 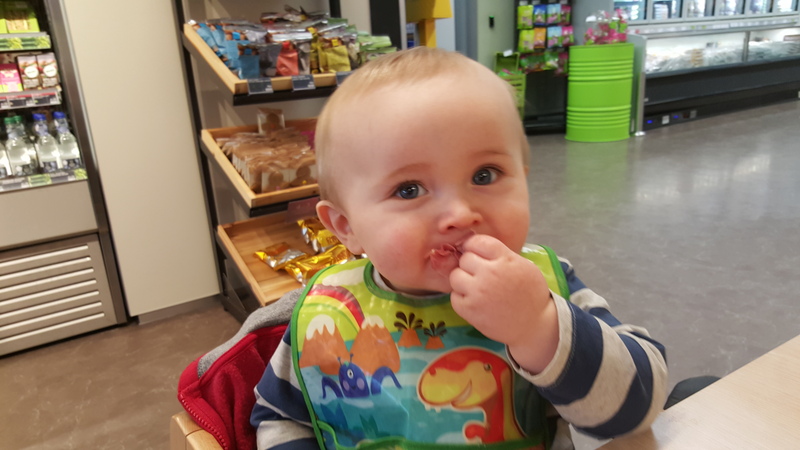 I’ve been offering Jake lots of different pouches and jars from the HiPP Organic range – the Star Pasta with Butternut Squash and Chicken seems to be a big favourite, along with Cocoa and Vanilla Dessert as a treat! The fruits & vegetables used in HiPP Organic pouches and jars are grown on dedicated organic farms, where they are left to ripen naturally and harvested at their plumpest & sweetest. 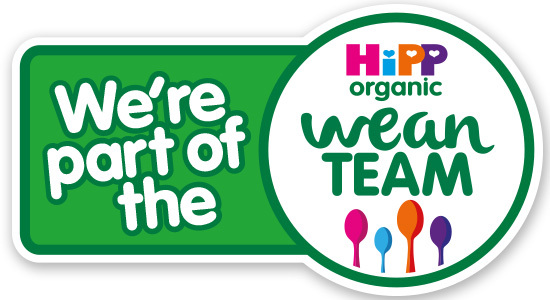 These organic ingredients are then gently steam cooked to protect the nutrients and keep every ounce of flavour to provide babies with the best possible start to weaning and beyond. I have been focusing on giving Jake lots of savoury foods, but as I said, he does like an occasional sweet treat such as the cocoa dessert or rice pudding with fruit puree. 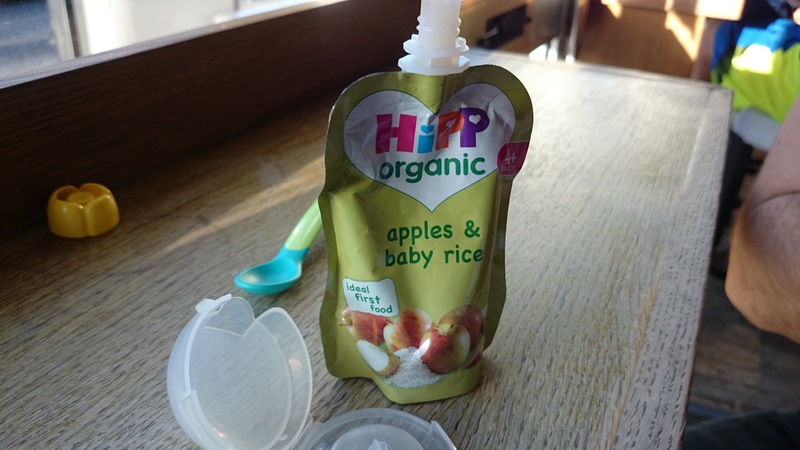 At HiPP Organic, they only add sugars to recipes that you would add sugar to if you were preparing the recipes yourself (such as custard), and they control the amount of sugar in all their baby foods very carefully as it’s important savoury foods do not contain hidden sugars from fruit. 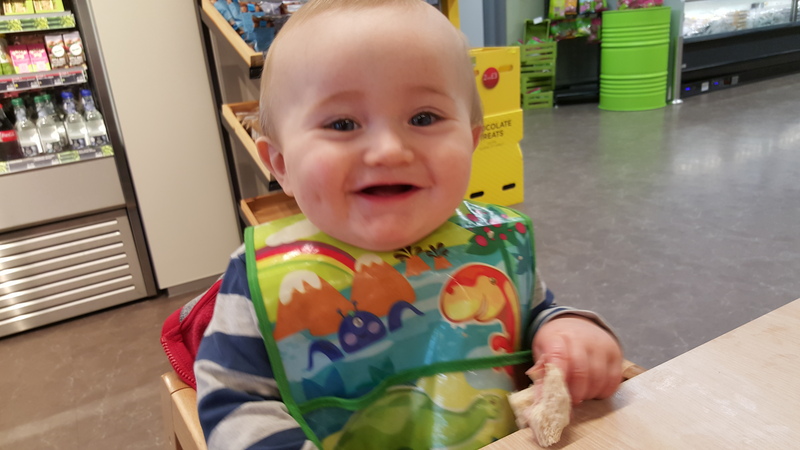 This month I’ve also started to offer Jake more finger foods to feed himself, such as baby biscuits, slices of banana and pieces of toast. He always seems quite fascinated by how it all works and spends ages studying his food before giving it a try. I love seeing his little face look slightly confused whenever he tried something new, and then waiting to see if he opens his mouth for some more – which he normally does! 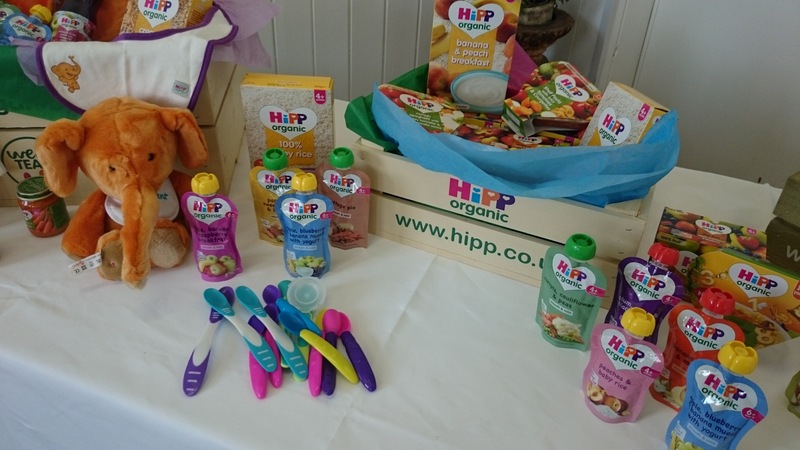 I’d love for you to share your favourite pictures from your little one’s weaning journey by entering my fab competition to win a Sweet and Savoury Bundle from HiPP Organic. 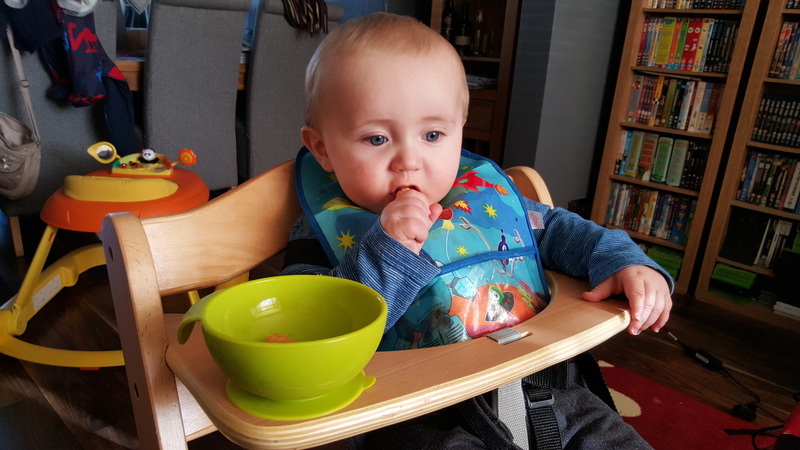 All you have to do is follow me on Twitter @GreatNorthMum and Tweet me a photo of your baby’s first tastes with the hashtag #TheMomentWeTried, mentioning me and @HiPPOrganic. You’ve got until Sunday 10th April to enter, when I’ll be drawing a winner from all the entries. Good luck! THIS COMPETITION HAS NOW CLOSED – THANK YOU FOR ALL YOUR FAB ENTRIES! Aww look at him enjoying his sandwich, too cute! Doesn’t look so sure about apple though lol!